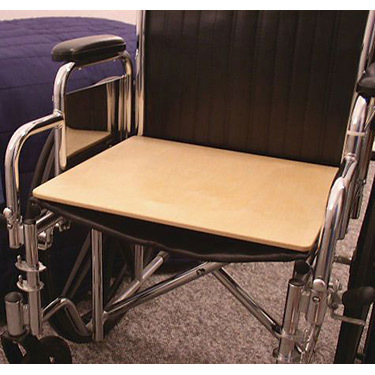 SAFETYSURE WOODEN WHEELCHAIR BOARDS provide a flat sitting surface and eliminates the hammock effect associated with standard wheelchair seats. Makes an excellent sitting surface when combined with a pressure relief cushion. Corner and edges are rounded and the weight capacity is 300 lbs. Product Weight 4 lbs. THIS IS A SPECIAL ORDER ITEM AND IS NOT RETURNABLE. (Unless defective. )THIS ORDER CANNOT BE CANCELLED ONCE PLACED.